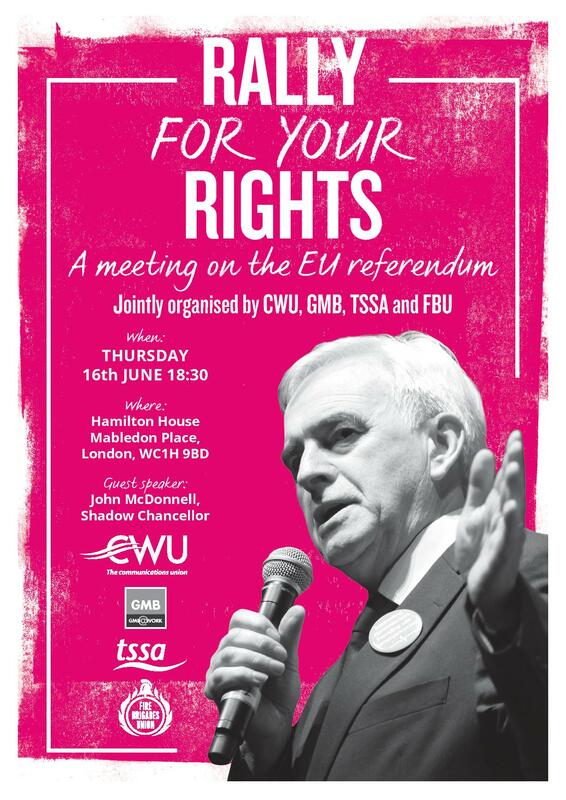 The CWU is proud to stand alongside GMB, TSSA and the FBU in organizing this Rally for Your Rights, an event in London in which representatives of all four unions will be discussing the upcoming EU Referendum. We are pleased to announce that we will be joined at this event by Shadow Chancellor John McDonnell. 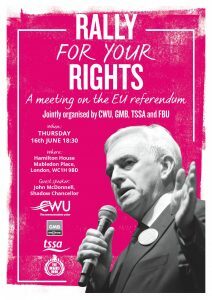 All CWU branches are encouraged to send a delegation to this event. 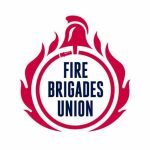 We are also investigating the possibility of filming/streaming the meeting to the wider membership.